working at CASIS this summer. world-class image processing expert, reflects on his sabbatical at LLNL. The LLNL Center for Advanced Signal and Image Sciences (CASIS) exists to push the art of signal and image sciences. 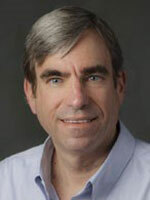 Rick S. Blum , renowned signal processing researcher, will deliver the keynote address at the 23rd annual workshop on May 15, 2019. CASIS has hosted 22 annual workshops featuring such luminaries as Professor David A. Castañón (Challenges and Results in Active Sensing), Professor Tülay Adali (Data Fusion Using Source Separation), Georgios Giannakis (Big Data Analytics), Pietro Perona (Computer Vision),Charles Bouman (Model-Based Imaging), Richard Baraniuk (Compressive Sensing), James Flanagan (Speech Analysis), Alan Oppenheim (Signal Processing), Bernard Widrow (Adaptive Filters), and Ronald Bracewell (Fourier Imaging). The 2018 Featured Speaker was Professor Joseph M. Kahn, renowned signal processing researcher, , Stanford University. The LLNL Center for Advanced Signal and Image Sciences (CASIS) exists to establish a forum where research scientists and engineers can freely exchange information and ideas in a comfortable intellectual environment focused on the areas of the signal and image sciences. We are currently seeking two post-docs to conduct basic and applied research. Sparse signal recovery & compressive sensing. Inverse problems & image reconstruction.